For those who like the stronger stuff! 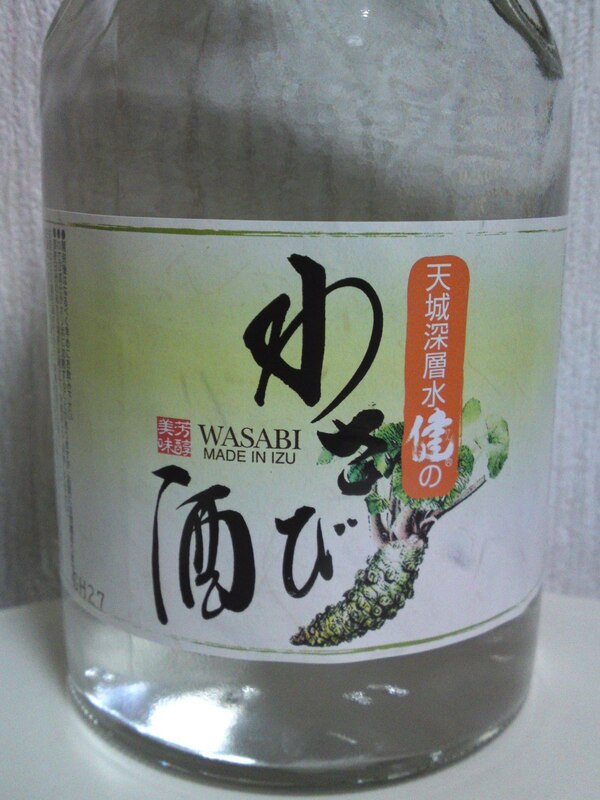 It has been quite some time since I enjoyed the only true shochu made with wasabi in Japan, namely Wasabi Shu (can also be pronounced “Wasabi sake”)! it is made by the only sake brewery/shochu distillery in Izu Peninsula in Shuzenji, Izu City! 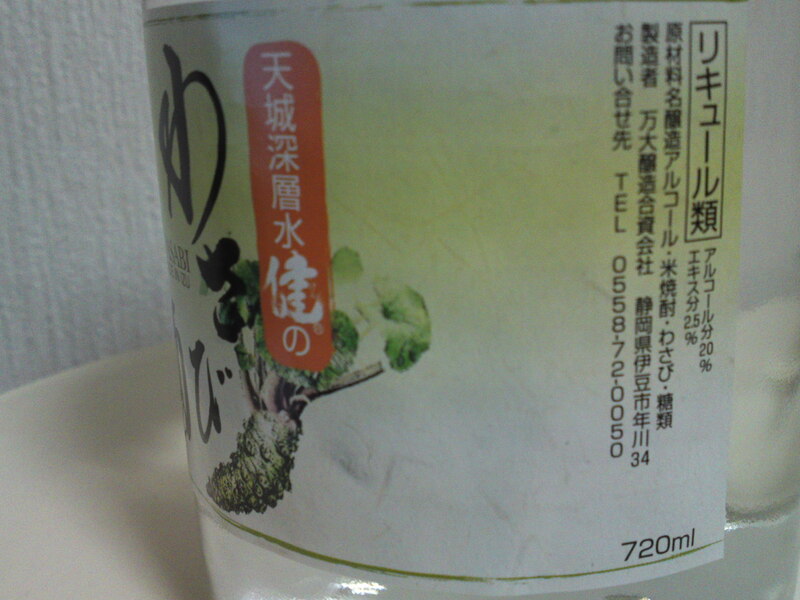 Although made with rice shochu and wasabi essence it is sold as a liqueur for various lawful reasons! Taste: dry and fruity attack. Lingers for quite a while on the palate with more soft wasabi and rice spreading over the palate. Changes little with food if for a drier turn. 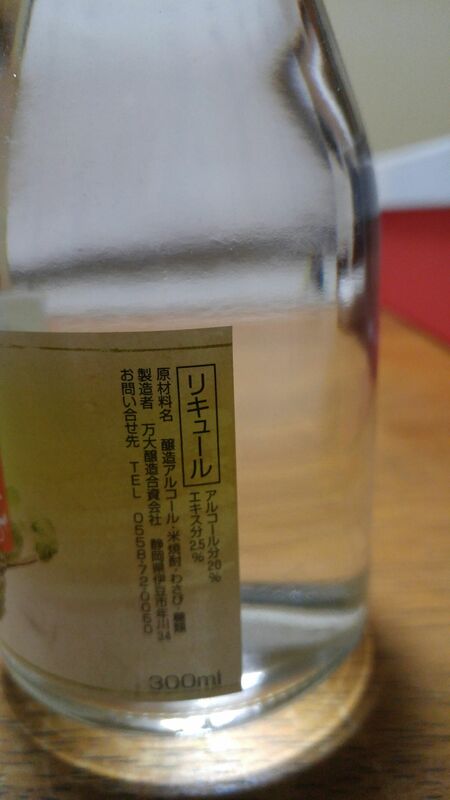 Overall: A rare, elegant and intriguing shochu! The rare kind that even ladies would drink straight at any time of an evening or of a celebration. Thoroughly enjoyable at any temperature or on the rocks, although best on its own. Probably best enjoyed on its own as a nightcap but will go with any Japanese food, especially sashimi and light vegetables dishes. Will do very with asaparaguses and oysters in Western gastronomy! A splendid gift to offer anywhere in Japan and overseas! 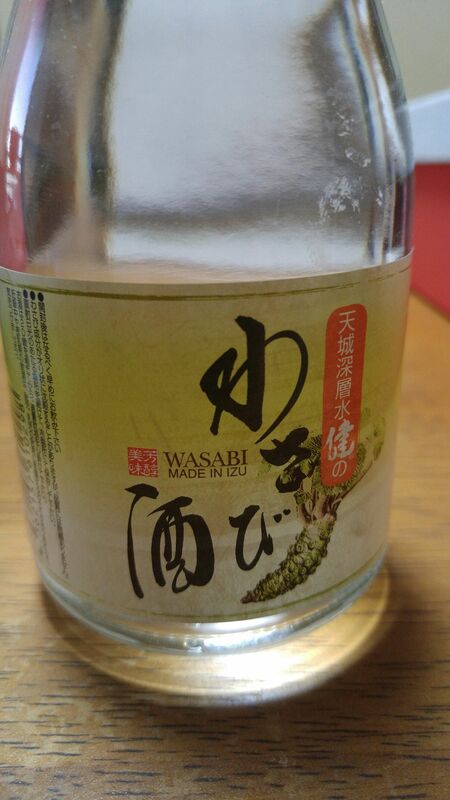 Shizuoka Shochu Tasting: Bandai Brewery-Wasabi Shochu! Shizuoka Prefecture produces not only 80% of all wasabi grown in Japan, it is also the home of the only true wasabi shochu! True to say, one cannot make shochu out of wasabi only as it does not contain starch to help the fermentation and distillation, but Bandai Brewery in Shuzenji, Izu Peninsula, concocted it with 75% of top-class rice shochu made from the sake lees of their own sake and 25% of pure essence of wasabi grown in Izu Peninsula! 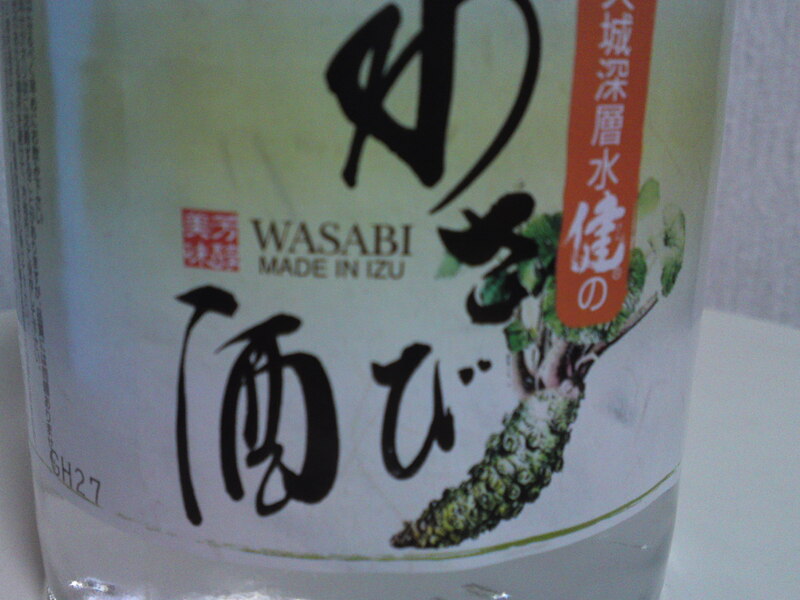 More precisely, the wasabi is grown on the Amagi Plateau/Amagi Kougen/天城高原 in the northern part of the Peninsula. At the same time Bandai Brewerry uses pure source water gushing from the Plateau to brew its sake and shochu! 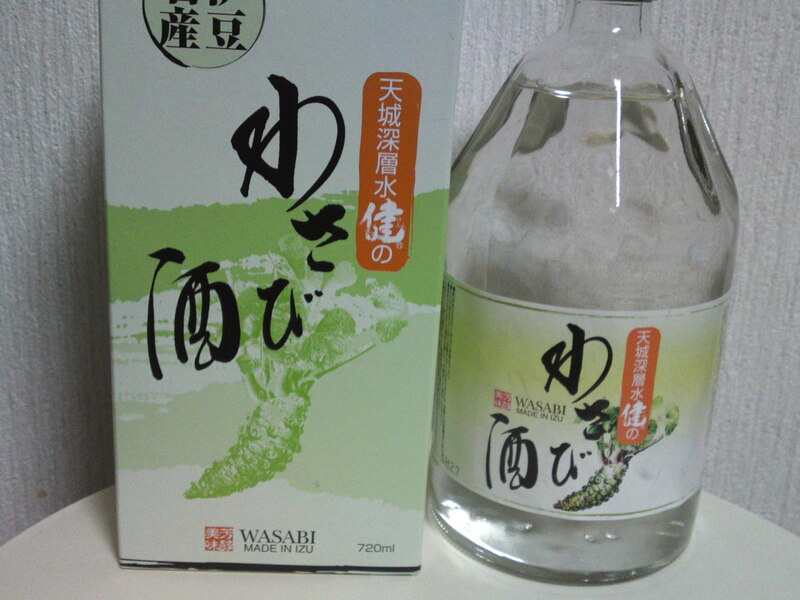 Although it is a true shochu in concept mixed with wasabi essence, Bandai Brewery advertizes it as a sake or liqueur! It might explain the choice of bottle, a bit unusual for shochu, but easy to handle and store! Taste: Softer attack than expected. Very sophisticated, as complex as a sake! Pleasant and soft wasabi flavor. Almost a liqueur without the sugar and the cloy aftertaste! Faint notes of bananas appearing later as it disappears quickly warming up the back of the palate. The fact it is made in the simplest manner possible, that is a high quality rice shochu blended with pure wasabi essence makes it both sophisticated and extravagant. Its comparatively low alcohol content, 20 degrees, makes it eminently drinkable as it is without any ice, water or whatever! Most appreciated straight at room temperature. Could definitely be served as a heady and mysterious aperitif! -Beer: Good Beer & Country Boys, Another Pint, Please! 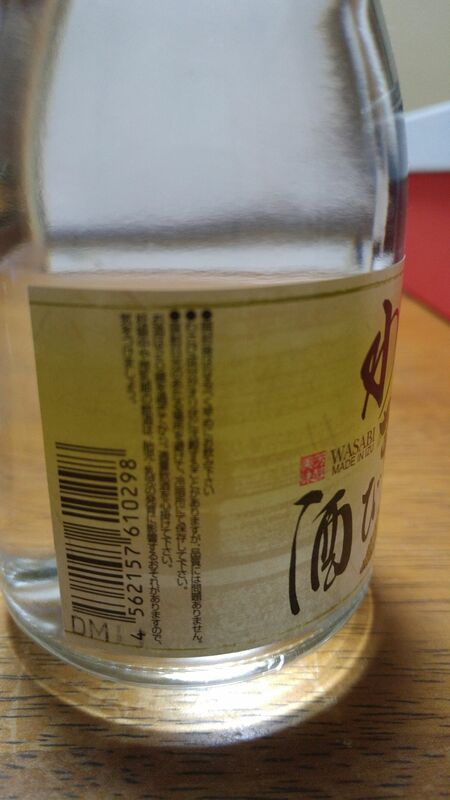 A new Shochu is born: Fuji Susono 3776! A new Shochu is born: Imo Otoko! A new Shochu is born: Sachiura! How to drink and taste Shochu? Every Day Is A Sushi Day! SAKAYA, first Sake Shop in NC!